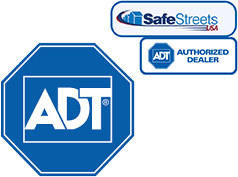 Many of the most affordable home security systems available on the market require you to monitor your own property. This can be a pretty effective choice if you spend a lot of time at home, or if you plan to check in on live video cameras frequently. Not to mention, it’s generally more affordable. But, what if you forget to check in? Not to mention, hounding your self-monitored home security system can create a lot of unneeded anxiety. Who wants to deal with an issue when you’re in the middle of your daughter’s dance recital! If you’d like to be in complete control of the safety of your property without all the additional stress, you should seriously consider a home security system with professional monitoring. What exactly is professional monitoring? Professional monitoring services monitor your property so you don’t have to. Whether you’re away at the office or you’re spending a week with your family on vacation, as long as your system is armed, a professional service center is keeping tabs on your property, 24 hours a day, 7 days a week. If the alarm is triggered in your house, the service center is immediately notified. In most cases, a representative will try and contact a member of your family to make sure that there truly is an emergency. If you confirm an emergency situation, or even if you simply don’t answer your phone, the service representative will alert the local authorities to the situation taking place in your home. Professional monitoring can do a lot more than keep an eye on burglars and thieves. It can also keep your home safer by regularly monitoring smoke detectors, CO2 detectors, water sensors, and freeze sensors, notifying you, and/or the appropriate authorities, of a potential problem. First, you’ll have to set up an appropriate home alarm system. Every provider is different, but the setup is basically the same. Various sensors will be placed throughout your home, either by a professional or by yourself, if you choose DIY setup. Sensors will most likely be placed on doors and first-floor windows. You may also consider installing sensors on second-floor bedroom windows. Some home alarm systems stop there, but others provide you with the option of installing cameras in and around your home. Additional sensors, detectors, and features are also available, depending on the company you choose. Then, it’s just a matter of arming your alarm so that the service center can notify you and the police of a potential threat to your home. One benefit that people enjoy about professional monitoring is that if there’s an emergency, you get to talk to a real person who has experience dealing with threatening situations, instead of dealing with the emergency on your own. Whether you choose self-monitoring or professional monitoring is up to you, but many customers are willing to pay a little extra to ensure their property is completely protected by a team of professionals.